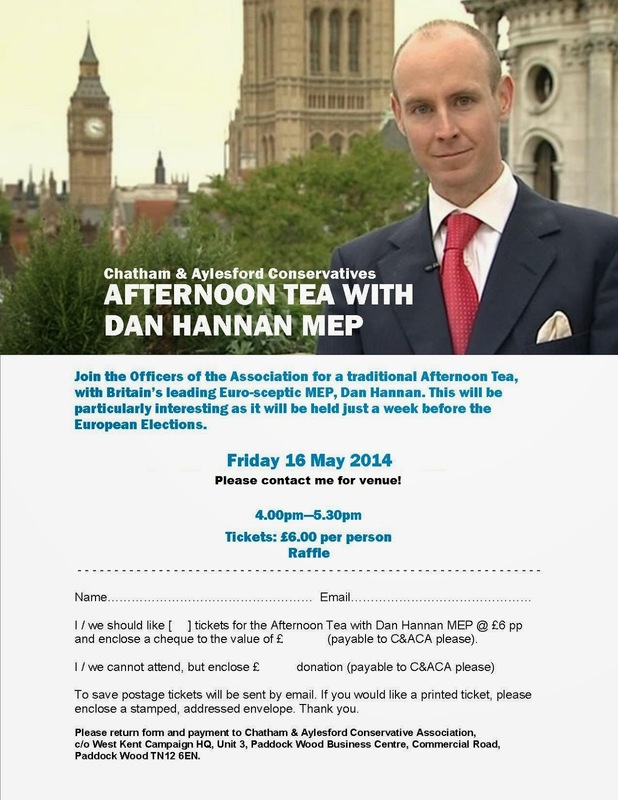 Chatham & Aylesford Conservative Association are pleased to be hosting Dan Hannan MEP for Afternoon Tea, just a week ahead of the European Elections. 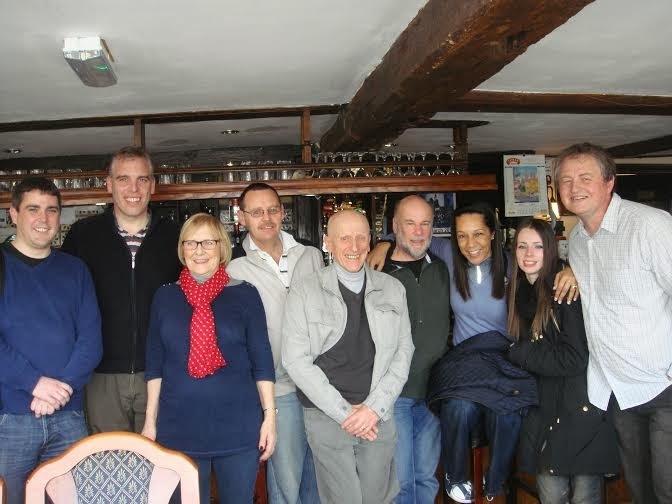 Last time Dan visited C&A (for a pub lunch) over 50% of attendees were non members! The Afternoon Tea will be held on Friday 16 May. Please contact me for the venue or to book tickets! The most honest AGM minutes I have ever read! Not a lot I can add, really! 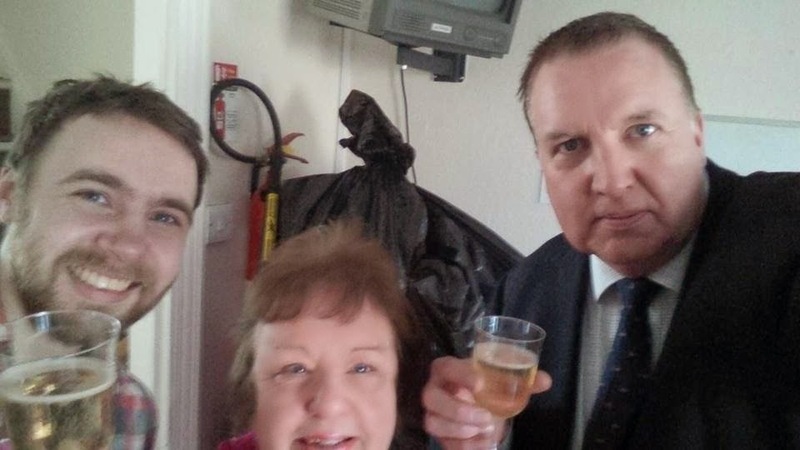 We might be surrounded by rubbish sacks and drinking from plastic glasses, but at least the Champagne is real! Belated birthday celebrations for envelope packer extraordinaire, Gill Levine! We had cake, too! 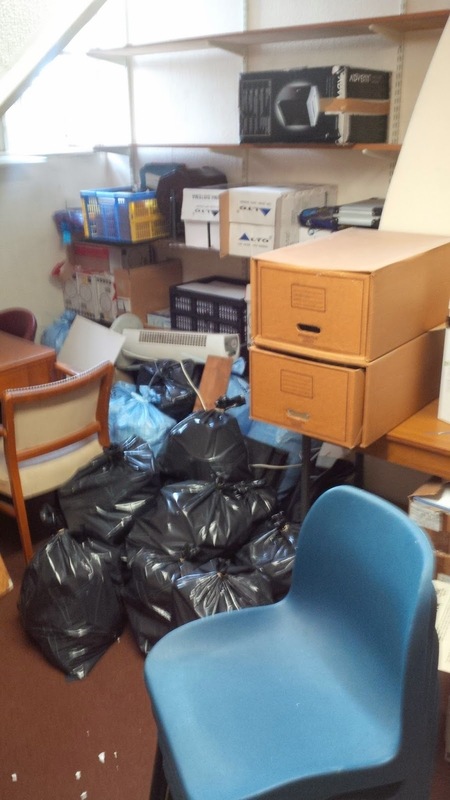 If you have ever wondered what 25 years of accumulated political detritus looks like, look no further. And this is just from one room's worth! I am not quite sure why we have 11 fan heaters, I suspect they have been donated over the years and no-one has ever thrown them out. 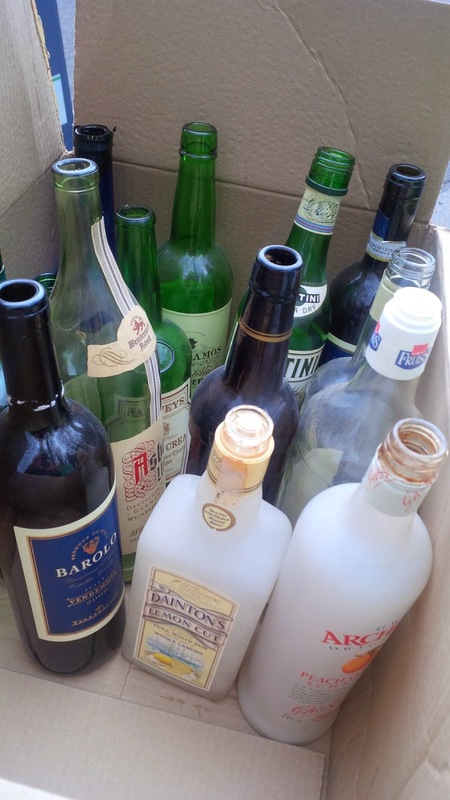 And whilst clearing the darkest corners of the upstairs junk room, we found all these half-full bottles, hidden away behind a long-disused raffle ticket drum. I am not sure if one of my predecessors had a fondless for a secret tipple, but if so they had strange tastes; peach schnapps, sweet sherry, Lemonchello and casis. Quite a party! Meanwhile, a trip to the new West Kent Towers to see how it was looking found nine tradespeople all working hard to make it ship-shape for our imminent arrival. But all good things come to an end - and I think this picture poignantly sums it up more than words. I will genuinely miss these cramped, cold, rickety offices, up a narrow staircase, above the hairdressers and opposite the kebab shop in West Malling. We have achieved some outstanding things from these small rooms, but things change and life moves on. We must change with them, or be left behind. 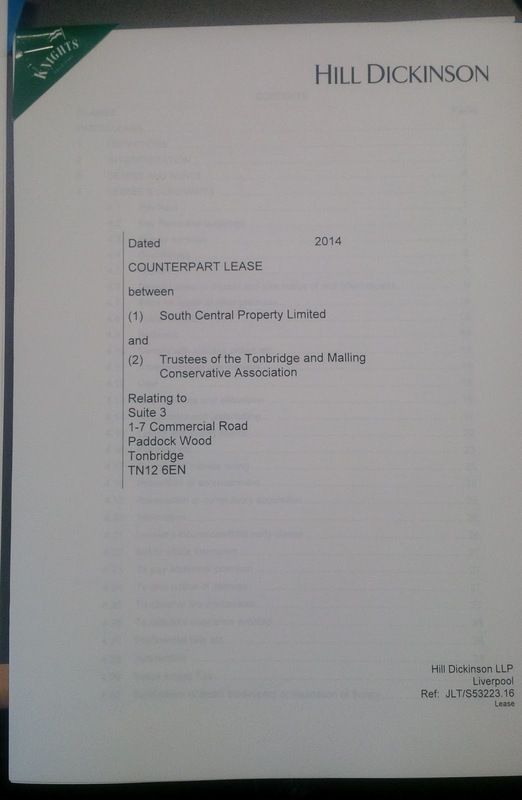 Exciting times; this is the lease for our new office, which was signed today by the Trustees. All being well, the new West Kent Campaign HQ will be open for business on Monday. What a charming bunch they are ! Did someone say Conservatives were unpleasant ? Councillors pointing at pot holes - BE WARNED! In Chatham & Aylesford we have our own verb. "To do a Geoff Rowe". Geoff Rowe was once a Lib Dem, councillor for Aylesford. He was a bit like a turmeric stain - he got in be accident and was almost impossible to remove. He clung-on not by his intellectual prowess or force of personality, but by managing to appear at the right place, at the right time and be photographed "pointing" at whatever local issue was causing concern. After his two terms of office there was hardly a lamppost, paving slab, kerb-stone, piece of guttering or tree which hadn't been pointed at by Geoff Rowe. He seldom ever did anything about those issues, but by being photographed pointing at them and demanding "something must be done" he managed to claim credit when someone did it. So within C&A whenever I ask a councillor to point at something for a newsletter, it's known as "doing a Geoff Rowe". I suppose having the local Conservative Party adopting his name into its own folklore is a tribute of sorts, even if for all the wrong reasons. 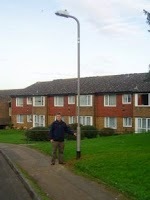 By way of example, here is local Conservative Councillor (who defeated Geoff Rowe at the ballot box) doing a "Geoff Rowe" by a lamp post. 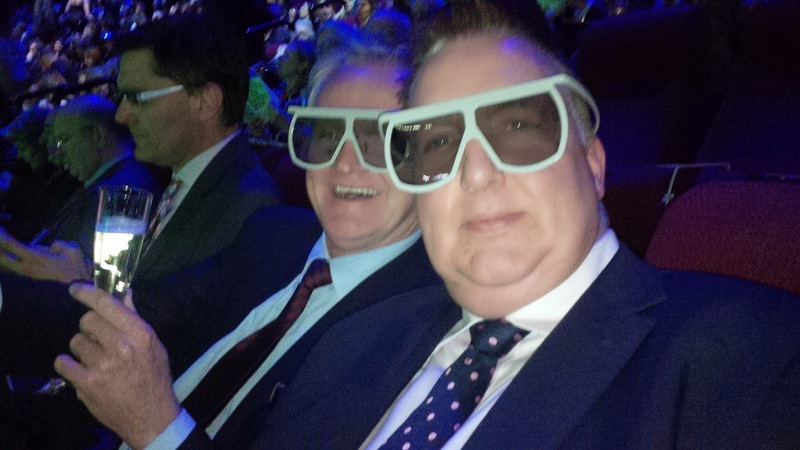 I was actually quite proud of this one - the headline was "John Balcombe brings light to life"
"This blog will doggedly collate images of councillors looking glum whilst pointing at holes in the road, wearing hard hats or presenting oversized cheques. Let's celebrate the work of our local elected representatives!" Re-tweeted by no less that Kate Hoey MP ! I am ridiculously pleased at having my post on abolishing the Electoral Commission re-tweeted by no less than Kate Hoey MP! Now if all Labour MPs were like Kate Hoey, what a different party that would be! “@IainDale: Why the Electoral Commission should be abolished http://t.co/h7BOx8kN8q Spot on by @Andrew__Kennedy.” Sounds like commonsense.! It was great to sit down with our 2014 Local Government candidates in Tunbridge Wells on Saturday and go through campaign plans for the next eight weeks. Greg Clark MP opened the meeting and spoke enthusiastically about the campaign ahead. Despite his responsibilities as MP, Minister and to his family, Greg's commitment to doorstep campaigning cannot be faulted. He is out every weekend with the local teams, knocking or doors and delivering newsletters; an example to many MPs in marginal seats. The atmosphere at the meeting was upbeat. A favourable response to the budget, UKIPs poll ratings in decline and ours rising to parity with Labour, and a strong local record to promote filled our candidates with quiet optimism and determination. Time to abolish the Electoral Commission? Like all my blogs, the following is a personal view, and does not reflect the views of the Conservative Party or any of the local Conservative Associations for whom I work. Thirty years ago, when I first started fighting elections, I recall my annual visit to the Town Hall to collect nomination papers from the Elections Office. Housed in a small room on the third floor, staffed by an avuncular man, his secretary and another lady who was only there four mornings each week. 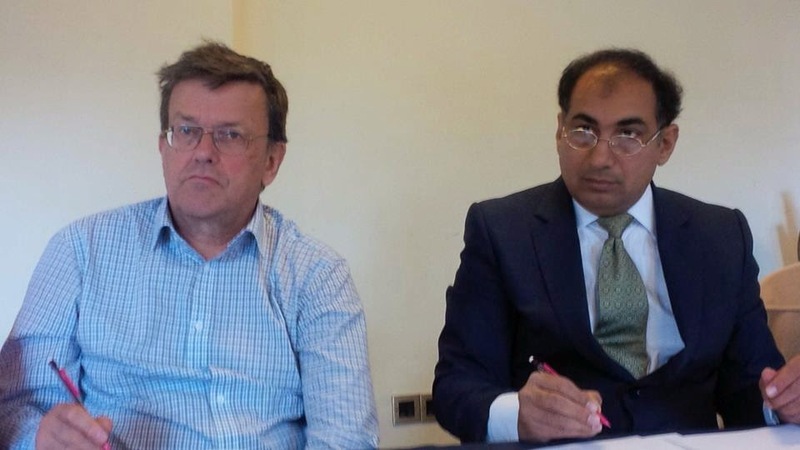 This team of two and a half full time people were responsible for the smooth running of the democratic process in my borough of 500,000 residents (four parliamentary constituencies). And as far as I can recall, nothing went wrong. Out of curiosity I phoned the same Council this afternoon and I was transferred to the “Elections and Democracies Directorate” to ask how many FTEs they now employed. Understandably there was a bit of reluctance to tell me, but when I mentioned that it was not an unreasonable request, and that I could easily submit an FOI, I was given the number – eleven. An increase of 450%. Are elections in this borough 450% better or more efficient than they were 20 years ago? To be fair, I don’t necessarily blame the council as I suspect there has been a pro-rata increase in most authorities. Much of the blame can be placed at the door of new legislation, more elections and the ever increasing demands and bureaucracy of the Electoral Commission. Back in the 1980s I clearly recall the process. The nomination pack was five or six pieces of paper. There was the nomination paper, a consent form, an appointment of election agent form a form to request a register and lists of absent voters and a very pompous pink form explaining the requirements of the Official Secrets Act. That was it. Another pack contained the election expense returns; this was a double sided piece of A4 paper with a very officious declaration which had to be signed in front of a Justice of the Peace. In total, perhaps six or seven pieces of paper from start to finish. The outcome of this process; a candidate was successfully nominated. 2. A timetable (which could be downloaded from the Electoral Commission’s website). 4. A blue piece of paper upon which the following was printed “This page is not part of the nomination pack and should be ignored.” Only an organisation which spends other peoples’ money and is not accountable would spend money on printing a blank page and print a notice on it to inform people the page served no purpose. 10. A page asking candidates to list their name, address, telephone numbers and email address “for internal use only”. 11. Another page stapled to (10, above) explaining that it was not a statutory requirement for candidates to provide this information and how the information, if provided, would be used, stored and disposed of under the Data Protection Act. In total, I counted 53 pages of forms and explanatory notes. And the outcome of this ridiculous increase in form filling, guidance and instruction? A candidate will be successfully nominated. Just as they would have been previously, but with 46 fewer pages! Where does the blame for this nonsense lie? The Electoral Commission. Created by Labour in 2001, it churns out rules, regulations, instructions, guidance notes, reports and advice as if its future depended on doing so. Which strangely enough, it does! There could not be a clearer or more obvious example of bureaucracy creating meaningless activity to justify its continued existence. For decades, local councils managed their own electoral affairs under a short Act of Parliament and supervised by a small department in the Home Office. The wheels of democracy turned, elections came and went, candidates fought or lost. No-one complained. So just what is the Electoral Commission actually for and what has it achieved? One Returning Officer I know well told me that ahead of the AV Referendum the Commission published 247 instructions, with which each RO had to comply. Many of these were valid and necessary (but happened under the old system anyway) such as the date to post postal votes and the size and style of the font used on the ballot papers. However the instructions also included how many pencils and pencil sharpeners per 1000 voters at each polling station and the length of the string attaching the pencil to the polling booth! No. Turnout continues to fall, random, unwanted and expensive pilot schemes to improve turnout have all failed, millions spent on TV, press and radio advertising have failed. Even the Commission’s own research shows knowledge and understanding of the electoral process has fallen. Have the quality of candidates improved? Hard to quantify, but I suspect the quality of people being elected is, at best, the same as it ever was. With several honourable exceptions, local government is not blessed with the most original minds or the freest of thinkers. Local councils are not awash with Chamberlains. Actually yes, but this is due to the proliferation of smaller parties who field slates of candidates. The era of three party politics is over. Nothing to do with the Electoral Commission. Is spending more controlled or transparent? For me, not at all. I still spend just as I did previously, only now that spending is spread over 12 pages of forms rather than the two pages previously. If I wanted or needed to hide anything, it would be far easier to so, and they have abolished the requirement for a sworn statement in front of a Magistrate, which must have acted as some form of sanction. Is the democratic process simpler for those who wish to participate? No, we have seen no difference. We turn up, give our name, take a piece of paper, place our X alongside a name, the fold the paper and drop it in a box – just like we always did. Nothing has changed. 247 rules and instructions have not opened up the process or made any real difference. I know of no-one who was ever disenfranchised due to a blunt pencil or a too shot piece of string. So, to summarise, the electoral commission has not reduced costs, not increased turnout, not improved transparency, not encouraged greater numbers of candidates or improved the pool of available talent, not improved accountability. I am not aware of any worthwhile Key Performance Indicator which could be used to judge it a success. I can see not rational business case for keeping it. Obviously the Commission would disagree and say my comments and criticisms are parochial. No doubt they would claim a higher calling; to safeguard the sanctity of the process, investigate and implement good practice and share access and opportunity. All worthy values, if (and only if) one considers the system which served our country for decades to be so flawed as to require a QUANGO of 200 staff with a budget of £22 million a year to fail to put right what was never broken. Publishing reports that no-one asked for and few will read, imposing procedures that are best left to those who understand their communities and collecting data for the sake of it and creating paperwork which adds no value nor serves any real purpose, does not equate to being successful. To me, these are activities of an organisation which needs to appear to be busy in order to justify their continued existence. I was saddened that the entire QUANGO wasn't done away with at the stroke of a pen in 2010. Tens of millions would have been saved. No-one would notice they had gone. I hope the next government has the courage to close them down. Why oh why do we never learn? That red flashing light on your Blackberry, mischievously winking in your pocket, never brings good news. But like moths to a flame, we cannot resist. Who might it be ? What's gone wrong? Is it a disaster? Nervously, you click on 'open' - curiosity (and fear) taking hold. Seriously, the gentleman concerned has clearly gone to extraordinary lengths to pull this substantive work together. As he wrote in a second email, "I am sure we will get to know each other well in the months and years ahead." I rather suspect that we will. Excuse me, are any of you famous or important? I know this will make me sound like a "rural hick" but I was genuinely exited and honoured to receive an invitation from Iain Dale to attend the Political Book Awards. Good to see Peter Botting and Milly Skriczka. The event was held at the Imax Cinema on the South Bank - and it was just how I expected it to be. A small red carpet, a bank of photographers and lots of people talking loudly whilst constantly looking over the shoulder of the person they were talking to, just in case someone more important was standing behind. I must say Iain Dale and the event sponsors, Paddy Power, politicos.co.uk, Lord Ashcroft, News UK, Total Politics and InterContinental were exceedingly generous. The Champagne and canapés were plentiful as was the post-award wine and food. - (or those you see in the newspapers every day). This group constituted about 5% of those there. They were the big beasts and knew it. Never short of a circle of admirers, basking in their own glory - and deservedly so. About 20% of the crowd. This group had also perfected their place; they stood slightly away from the Alpha Crowd like remora fish around the shark, picking up crumbs of comfort from those not sufficiently sharp-elbow to reach front of the crowd. - (or those who write blogs and just dream of being in Group B). And yes, that includes me! We constituted 75% of the crowd - slightly too proud to prostitute ourselves but longing to take a selfie with Christine Hamilton just to prove we were there! 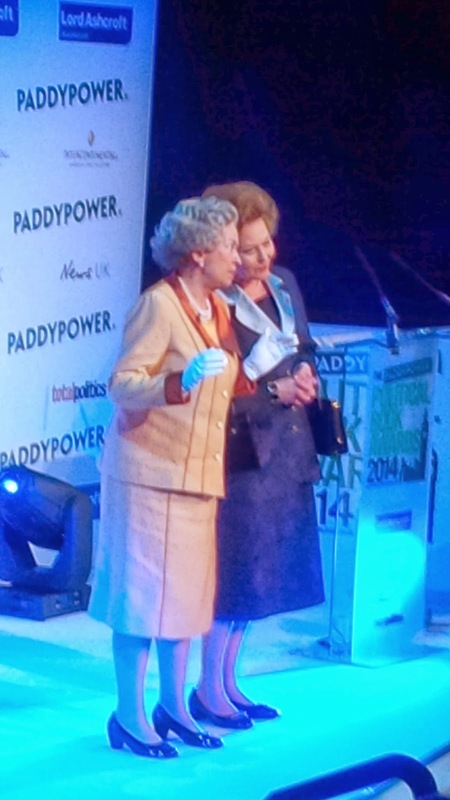 For me, the best bit was the award ceremony, hosted amusingly and camply by Gyles Brandreth. 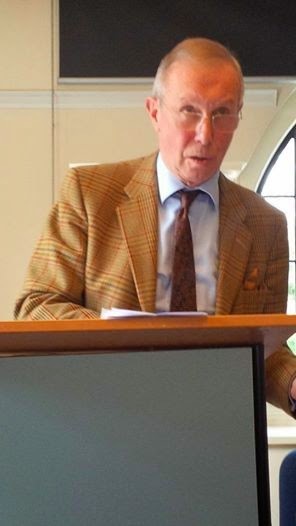 I actually enjoyed seeing and hearing some of Britain's most outstanding political writers, and I suspect I was in a minority in that I had actually read, or chosen not to read, most of the short-listed books. 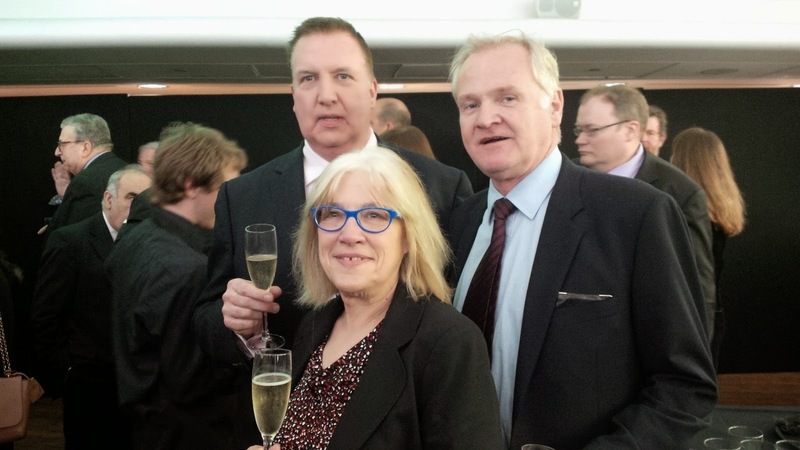 For many, I suspect Brandreth's comment, " this is the boring hour between the free Champagne and the free food" was more statement of fact that a comic aside. After the awards a lady with a Gatling gun voice bounded up and entered into her well rehearsed monologue about who she was, what she did and how she would change the world if only she had the chance to do so. I nodded sympathetically before she wheeled off, having spotted someone more important whose ear drums needed assaulting more than mine. Interestingly, I had heard it all before. The same lady had asked to buy me coffee at Party Conference in Manchester and had spent 30 minutes telling me the exact same story just 5 months ago. Then I was an agent in a seat with an 18,000 majority looking for a candidate; now I was nobody. Why should she remember me - there was someone much more important over my right shoulder. At 10pm I sloped off, leaving the chatter and excitement behind. As I left, walking out alongside two strangers, a female photographer said (with refreshing honesty) "excuse me, I don't usually do Westminster. Are any of you famous or important?" I looked at the two blokes alongside me. "No, sorry. If we were we wouldn't be leaving at 10 o'clock." The two men looked slightly offended; perhaps I should have remembered who they used to be! Last week we received probably four calls or emails from outside companies offering "Campaign Services". These are invariably run by former CCHQ employees who have seen an opportunity to provide campaign support across disciplines which were once covered by the Party's army of Agents and Organising Secretaries. Calls usually begin by telling me, or implying, that they are approved by CCHQ - a claim which often starts to unravel when I question them on just who at CCHQ I should approach for a reference. 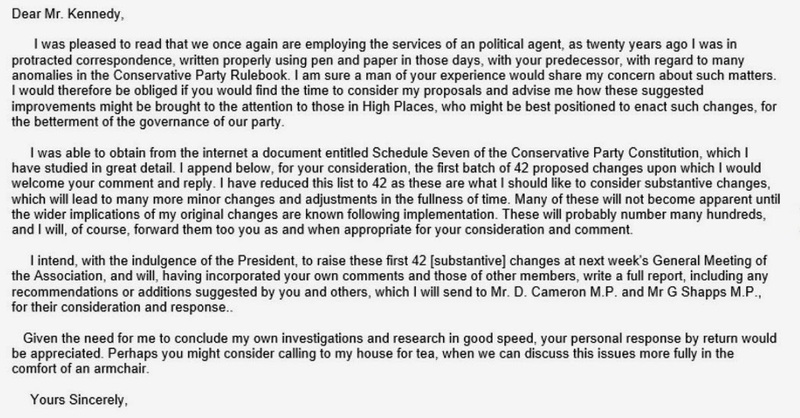 I recently suggested that if CCHQ is working alongside any of these companies or individuals, it would be helpful if a directory of "approved working partners" was published, so unsuspecting activists, MPs and Association Officers could really tell if the person they are dealing with is both competent and reliable. The problem with this, however, these companies often operate under different titles, offering different services and with different set-ups across the UK, and these change regularly from project to project. I know this to be true as someone who spoke to me a few weeks ago to offer mailing fulfilment phoned my colleague sitting at an adjoining desk to offer telephone canvassing, this time from a different company name! I could feel him squirming when Jon passed the phone to me! there is also the issue if anything went wrong and the company was on an "approved list" I suspect the Association's first port of call would be CCHQ, demanding their money back! in-house, for a fraction of the cost of outsourcing. We have our own phone bank, our own direct mail and fulfilment capabilities (OK, we use free labour to pack the envelopes - but it keeps people involved and reduces the cost) and we can print full colour - in house or via our preferred local printer for more complicated jobs. The difficulty, however, must be those seats where the MP feels under threat but is not on the 40:40 list, or seats where the candidate or Chairman feels they *might* just win if only they had more resources. These must be the seats which probably don't have access to an Agent or Campaign Manager and where a friendly voice offering phone canvassing or 20,000 mailshots at a special price might receive a welcome response. I am not blaming these ex-staffers for doing what they do - we are, after all, the party of initiative and enterprise. My problem is in providing these basic services, they are doing so at a profit which could be spent on additional campaigning, if we had those basic skills in house. Which we used to have! For example, one such company (and I know the guy who runs it reasonable well) asked to quote on a mail shot to 10,000 targets. 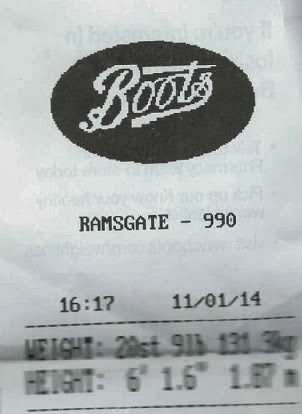 His price, which I acknowledge was below market rate, was £3,000 +VAT (or 36p per target inc VAT). 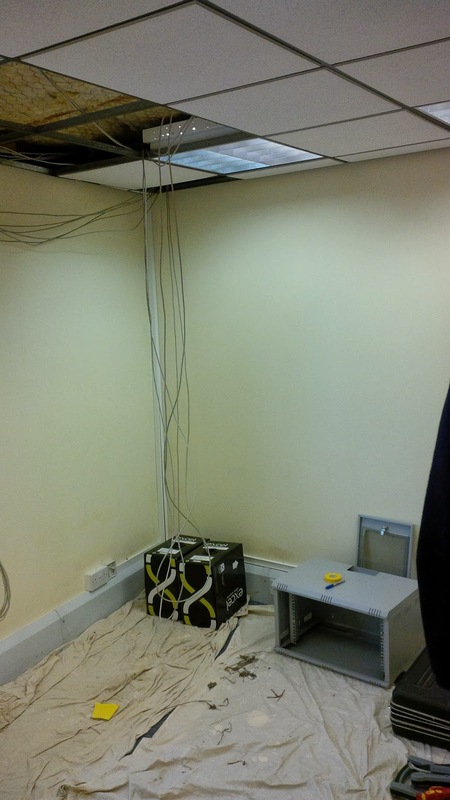 I was able to do the exact same job in-house for £800. I am sure there are many MPs or concerned/well intentioned Association Chairman who would have happily paid the £3,000 as they simply feel there is no alternative. 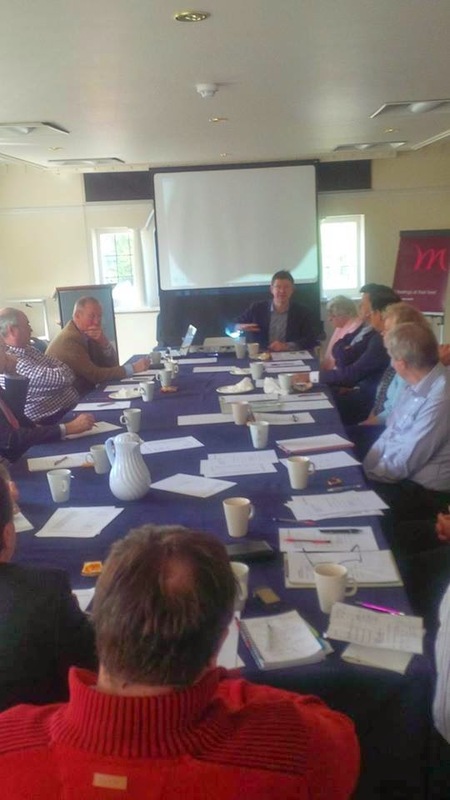 I spend disproportionate amounts of my free time speaking to area, regional and constituency meetings about the advantages of Grouping; I have attended at least 30 such meetings over the last 12 months (all in my own unpaid time, which I am happy to do as it helps the party move forward). Having been instrumental in pulling the West Kent Group together I can speak at first hand of the advantages, problems and opportunities. Everyone nods enthusiastically, but then nothing happens. Across the year I guess I have taken the message to 50+ Associations - but as far as I know not a single one of them has actually formed a group. There's always the reason not to do so. "Too close to the local elections". "Let's get the AGM out of the way". "We need to sort out what we are doing with xyz". "We cannot make a decision until we know what's happening with the boundaries." Then, ultimately, "it's too close to the General Election for us to make such a change..." Let's be brutal, doing nothing is far the easiest option. Groupings work. In West Kent we spend over 50% of our income on campaigning. I believe this compares with 10-15% across the UK. 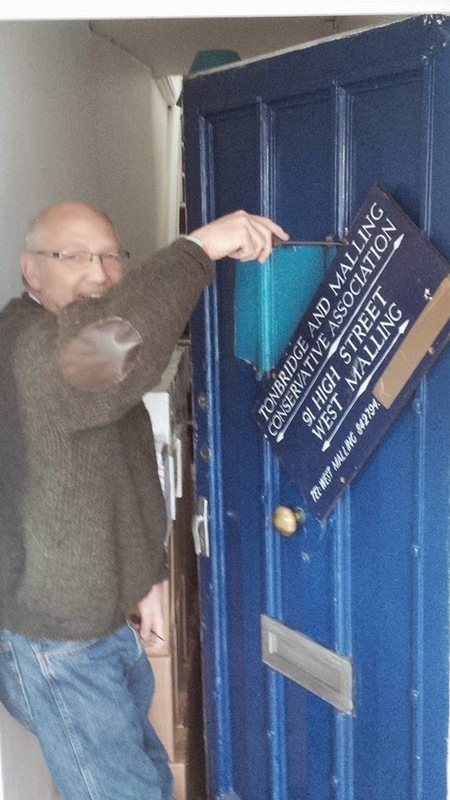 In the last month our little office, with just 2.4 staff, has churned out 3 constituency-wide MP newsletters, 57 ward newsletters, 45,000 direct mail shots to Conservative pledges and we have knocked on 3,000 doors. These opportunities and this level of support is available to every association, if they formed groups, shared costs and spent their money on what our members and supporters donate it for - CAMPAIGNING AND WINNING ELECTIONS. I really hope one of the Party's new Vice Presidents, who are being elected as I type, is given responsibility for driving this forward. This should be followed by each Region and each Area Management Executive appointing an Officer responsible for Grouping. I really believe that almost every Association and every real activist can see and understand the need and the advantage. We just need someone with the passion, determination, communication skills and ability to drive it to completion (oh, and they will also need the hide of a rhinoceros!). I have been sent the attached AGM notice from a "nearby" Association, on the promise that I protect both the name of the Association, and the poor old dear whose retirement is being celebrated. "A small selection of dried cocktail snacks and a glass of orange squash..."
I suppose we are still living in times of austerity, but really? I know - sarcasm is the lowest form of wit! It’s my life ticking away as I wait in eager anticipation for your email containing the exciting stories about your outstanding work as local heroes representing the good people of your ward(s). Each day the phone rings; anxious and excited constituents looking forward to the next edition of In Touch so they can read about your heroic endeavours on their behalf. “Wait” I tell them “the next edition is so exciting, it is taking three times longer to write than anyone else’s! 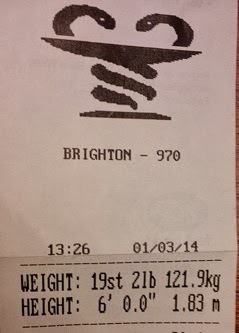 A disappointing week this week - with no weight loss whatsoever (though - no gain either!). What is really disappointing is I have had a very good week (diet-wise) with no lapses or bad meals. 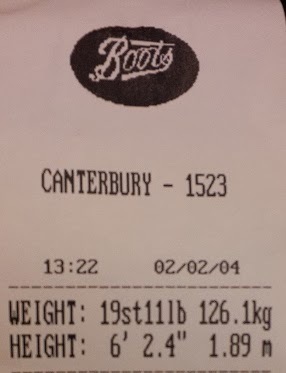 In fact, in terms of calorific intake, I have been below target every day - so I am surprised not to have recorded a loss. Anyway - onwards and upwards! 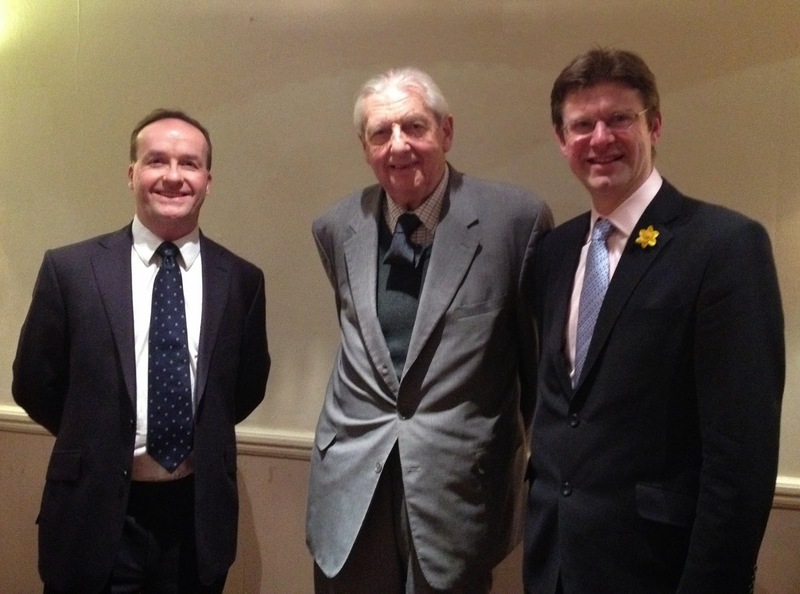 It was the Tunbridge Wells AGM last evening at the Mercure Hotel in Pembury. There was a real "blood run cold" moment when we arrived and the receptionist, having consulted her screen, announced with certainty "there's no booking for you tonight." Scenes of hapless Agent being beaten with walking sticks brandished by angry coiffured ladies filled my mind. "There must be" I said, trying to sound more confident than I was. "I have paid and received confirmation". Tapping of keys. "NO! I can see a booking in your name for a small room next Saturday morning, with coffee and bacon sandwiches at 9am, and you've paid for that. But nothing in the name of the Conservative Party tonight. Sorry. Perhaps you are confused"
I glanced nervously at Jon. Jon was staring at his shoes - he too could see the writing on the wall. Actually - he could see the ghastly corporate carpet - I was being metaphoric. In my case all I could see was the writing on my P45. "Do you happen to have a room large enough for 100 people available in the next 30 minutes?" I enquired, employing the triumph of hope over experience approach. More tapping of keys. "I am so sorry - we don't. The only room large enough for 100 people is booked tonight for the Tunbridge Wells Conservatories" Suddenly the weight lifted from my shoulders and the sun started shining again. "That's me, that's me"! I proclaimed. I had never been so grateful to be confused with a cheap plastic lean-to in a suburban garden. After the initial horror, all went well. Our President, Alex King MBE, Chaired (or does a President Preside?) over the meeting superbly. There were no rows or angry protests. No-one shouted "point of order, Mr Chairman". Even the secret ballot to ratify our local government candidates produced as close to unanimity as is possible in any Conservative Association! The Chairman handed out Champagne, chocolates and flowers and kissed cheeks of the various prize winners. Having presented Richard Ashworth MEP with flowers for Mrs Ashworth last week at Tonbridge & Malling's AGM I sourced a box lovely hand-made chocolates for her gift last night. Next week he's singing for his supper again in Chatham & Aylesford, and I am running out of gift ideas. Suggestions on a postcard! The highlight of the evening, however, was Greg's address. Greg is one of those politicians who always manages to strike the right tone and can speak fluently, confidently and openly without notes. A true gift and skill for any politician. Last night, however, was extra special.Greg had brought Lord Mayhew with him to the meeting; the first time he has attended for a number of years. During his speech he announced why. Lord Mayhew had been elected MP for Tunbridge Wells 40 years ago, in February 1974. Greg delivered a very moving tribute to his predecessor but one (Archie Norman served two terms in between) and presented him with a gift to mark the occasion. In his reply, Lord Mayhew, in is 85th year, spoke fondly of his time in Mrs Thatcher's government, recalled his selection meeting and some of the people who were active in the Association then and told the story of how his then Chairman and Agent rejected his suggestion of fighting the 1974 election (during the three-day week and at the peak of Trades Union power) on the slogan "Vote Labour and dig your own grave". It was a great honour to hear two great Conservative Parliamentarians speak in the same room. 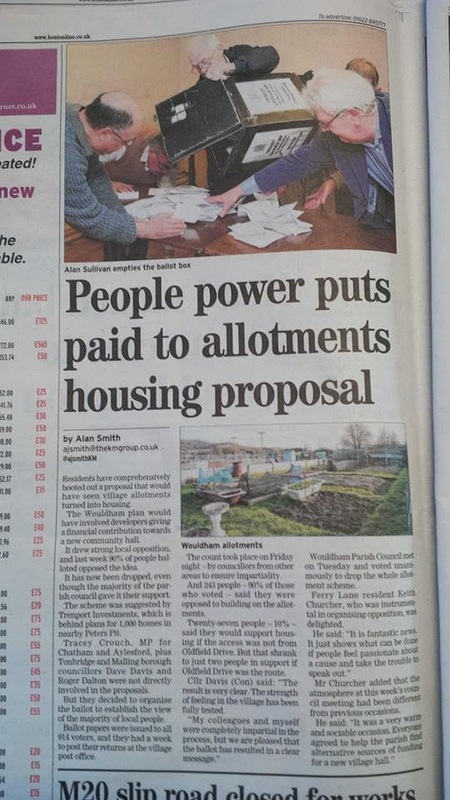 Our village housing referendum in the local press. Very helpful article and photograph in today's Kent Messenger regarding the referendum Tracey Crouch and local Conservatives organised over a contentious housing proposal in village of Wouldham. 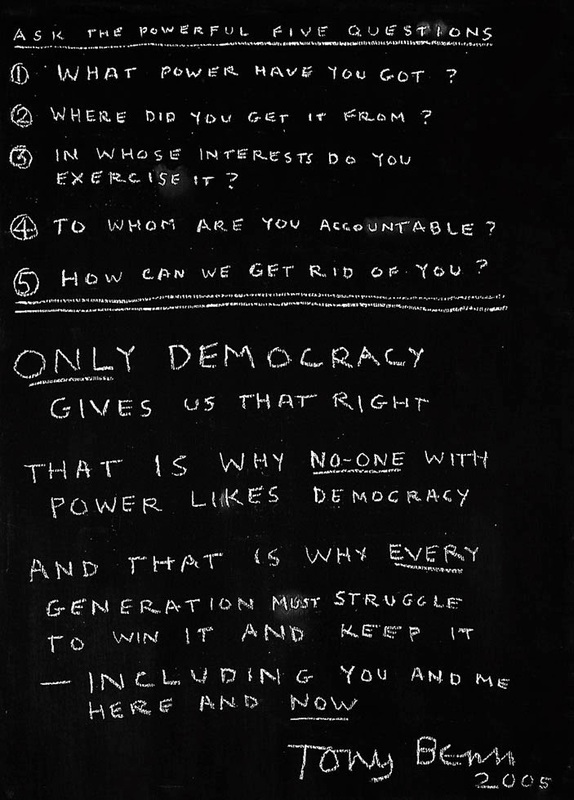 I am saddened to hear that Tony Benn has died. His diaries were a great inspiration and a fabulous read. His account of the death of his wife Caroline from bone cancer is perhaps one of the most moving chronicles ever written about the pain of losing the one you love. I never bought into his idealised view of the working classes, and there was something laughable about a man holding multi-million pound property and shares portfolios talking about Socialism and equality, but he was a giant of a politician and great parliamentarian. He demonstrated great courage over the campaign to renounce his Peerage and paved the way for many more Peers to renounce their unwanted titles and serve their country in the Commons. Had I lived in Bristol East during that time I probably would have voted for him in the by-election on this issue alone; the case was overwhelming and the changes he was campaigning for with regard to Hereditary Peerages had to be won. 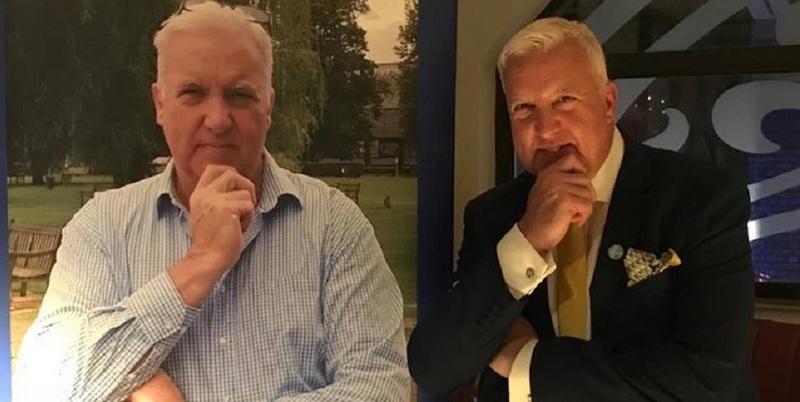 I met him twice; once many years ago in Wallasey and more recently when we found ourselves in the same train heading to Haltempice & Howden where we were both campaigning for David Davis's "civil liberties' by-election. He was unfailingly courteous and managed to appear genuinely interested in what I was saying. I found his speeches on the Chartists, the Levellers and Suffragettes inspirational - which any Libertarian would. Sadly I thought his last proper written work, Letters to my Grandchildren, showed a personal bitterness which he had honourably managed to avoid throughout his life. Notwithstanding any of the above, he was one of the dominant figures in political landscape of the second half of the 20th Century. His love of his family shone through his writing and he believed passionately in politics as a force for good. A few weeks ago I blogged about the efforts we are making in Maidstone to bring the number of pledges with postal votes up towards the West Kent average. 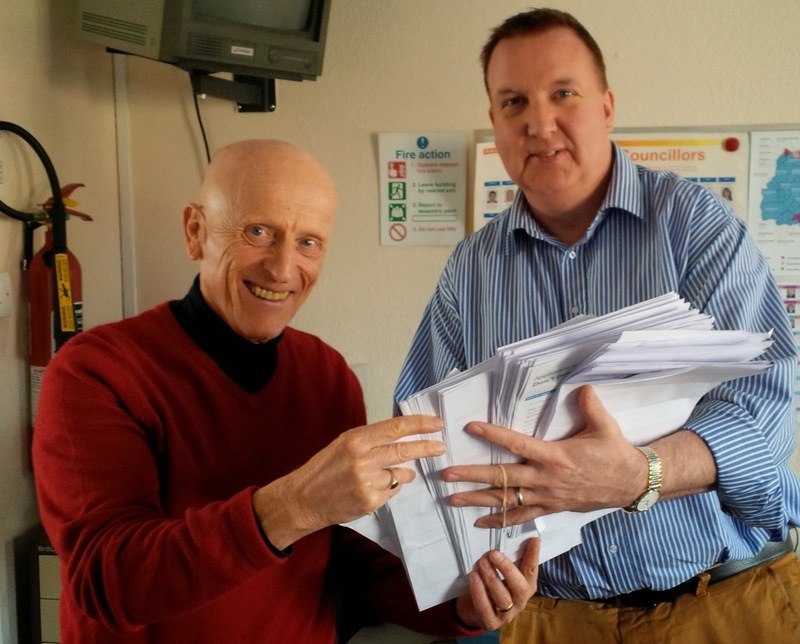 I was delighted today to hand the first batch of completed PV application forms to the Maidstone Chairman, Cllr John A Wilson, who is delivering them securely to the Returning Officer. Over 1,000 new postal voters have been signed-up via this initiative in the last week! 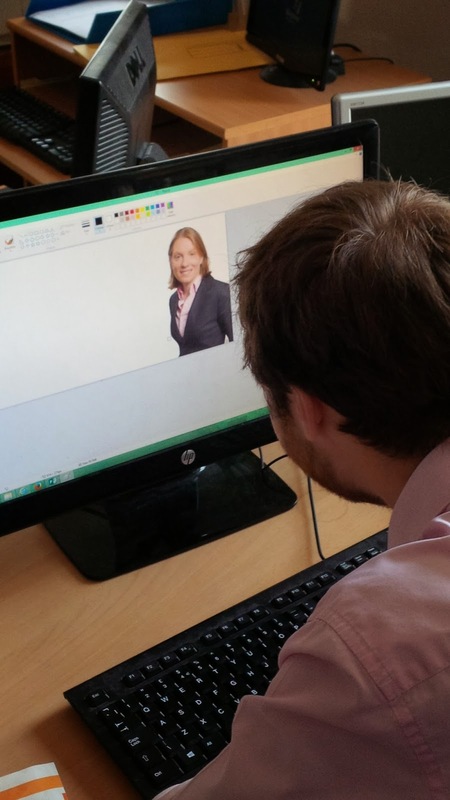 Some candidates take far more airbrushing than others. Tracey is one of the easy ones ! A bit of a rip-off ! 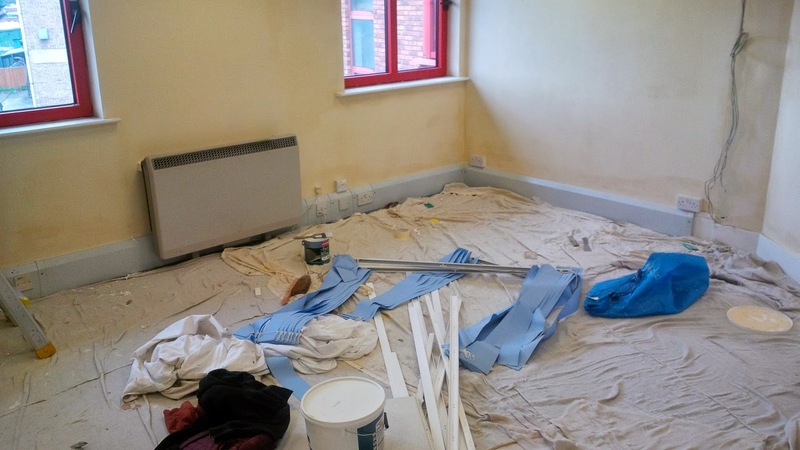 As our move to the new office in Paddock Wood draws closer, so we start looking in more detail at those small chores which accompany any relocation. Today I turned my attention to redirecting our mail. In theory it's simple enough. £120 +VAT for 3 months forwarding, so £144. Then you read the small print. Across our five Associations, if you include the various constituencies, internal clubs and societies, MPs, Conservative Council Groups and affiliates, I counted 23 different names. Each one of these receives mail each week - many containing cheques and payments, requests for help or advice or voter ID data. Simple maths will indicate the problem: 23 x £144 = £3312. Just to forward the post! We are now considering the ridiculous proposition of extending our lease for three months and leaving the office empty (with me calling-in twice per week to collect the post) as this will be a third of the price of mail forwarding! 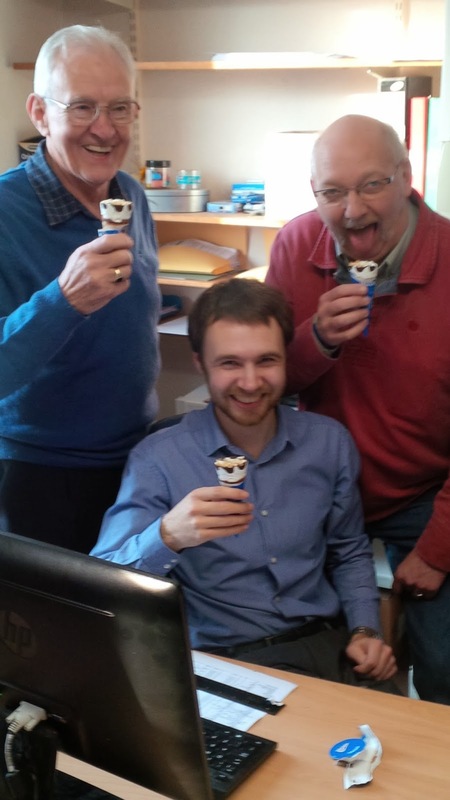 To celebrate the arrival of spring I pushed the boat out today and bought a round of ice creams. 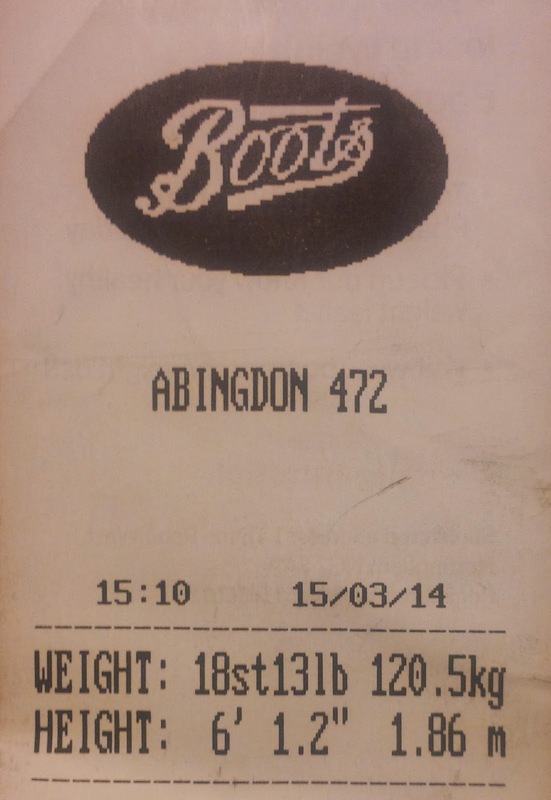 Even better, when I arrived at the till I found they were reduced as they were just about to go out of date. Four for £1. Don't tell them ! "I emailed Merlin Helpdesk about this as I entered £75 subscription in error. Of this £75.00, £17.50 should be allocated to her branch for the Afternoon Tea ticket - and the £75.00 also includes £22 which needs to be reimbursed to Judy who bought the sultana scones." Just imagine you are the poor bloke on the helpdesk - and you receive 200 messages like the one above each day! is it any wonder the hide under their desks when the phones ring? Thank goodness West Kent doesn't have MP-itis ! One of the difficulties of my job is balancing the needs of those who demand my time. This was difficult enough when we had one constituency, but those demands have grown as Tonbridge & Malling turned into the fledgling West Kent Office then grew further to incorporate three, four and now five Associations. Understandably, everyone believes their email / phone call / leaflet / newsletter / minutes / canvassing plan / social event / circular / m+eeting / press release is the most important of all. And to them, it is. By their nature and the authority of elected office, MPs are the elephants in the room. (I suspect this view is encouraged by being surrounded by people thanking them profuously and by others whose advancement is dependent on their patronage). I am still amazed that if a parliamentary staffer or employee is waiting in a tea queue and an eleced Member joins it, they are expected to step aside and let the MP walk to the front! I cannot imagine any of the MPs I work for exploiting or even expecting such privilege (in fact I have stood in enough tea queues with them to know that they don't), but such a system must surely impart an unhealthy sense of entitlement? I recall one long-suffering Agent telling me of the twelve years he worked with an Association, and the candidate who journeyed with him from PPC to Minister of State. In the earliest days the candidate was on the phone nightly, asking for advice and support, offloading the demands of awkward members and unpleasant internal disputes, and generally soaking-up his experience like a sponge. Once the candidate was elected, the friendly calls became less frequent and more formal, the hand written 'thank you' notes stopped and the personal birthday and Christmas cards turned into risographed signatures with pre printed labels. The calls were then replaced by instructions from his parliamentary secretary prefaced with "Philip (not his real name) would like...." and finally, the straw which broke this Agent's back, "the Minister wants...."
Balancing these demands and having the courage to say no (sometimes to people who aren't used to hearing it) can be one of the hardest aspects of my job. I have no idea how our new, young and as yet unscarred Campaign Managers do so. In West Kent we are very fortunate to work with MPs who are not only respectful of the job we do, but also work as part of a team towards a shared goal of winning the next election. 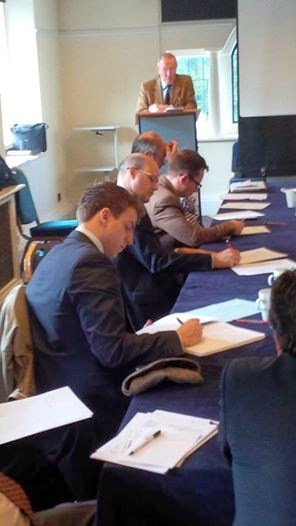 Last night we welcomed eight potential new candidates, six of whom we have never met before. These are people who received our invitation (here) and applied to come along to find out more. Of these I suspect six will apply to join the 'approved list'. One chap told me that he has wondered about how to become a local councillor for 5 years and didn't think the political establishment wanted people like him. Another potential candidate is 23 and told me that he simply didn't know how to go about it. 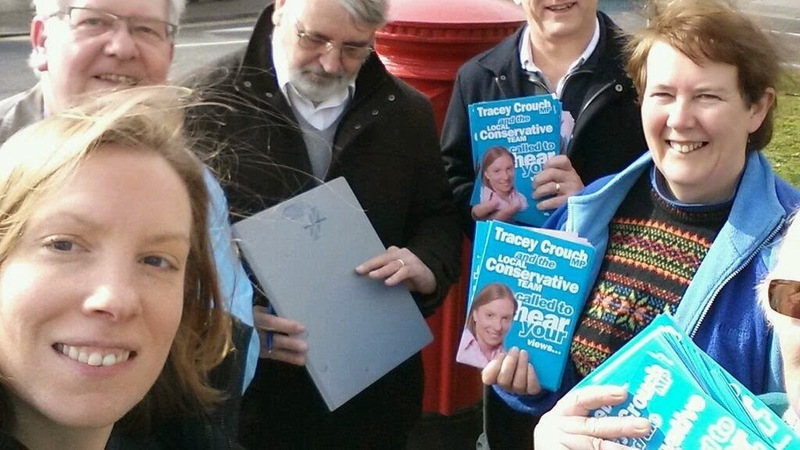 We also had one of the best known charity workers in the town, a local church youth club leader, a taxi driver, a shop manager and a former LibDem councillor who joined the Conservative Party 3 years ago and would like to go back onto the council. Too often I hear Associations complain about the lack of good local candidates. This is nonsense. People are out there, ready and willing and just waiting to be asked ! 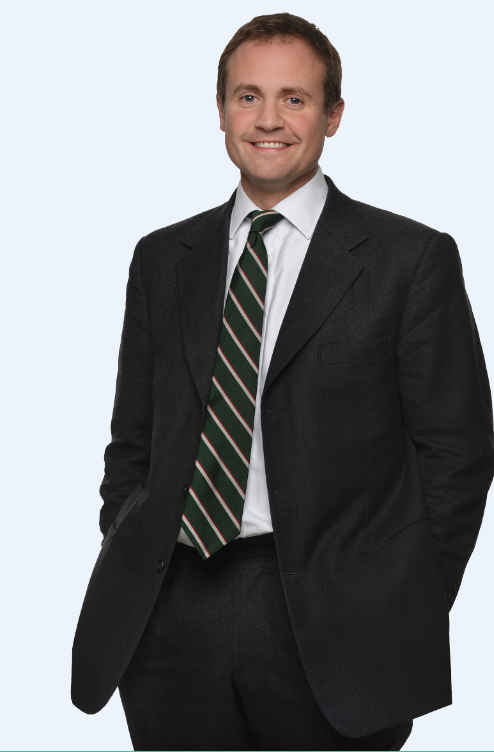 Tom Tugendhat's first constituency-wide newsletter will be hitting the doormats of Tonbridge & Malling this week. The front is individual for each ward, containing local councillor news - with a common reverse for delivery across the constituency. 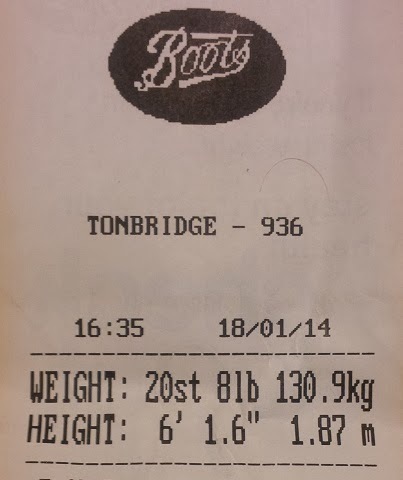 Sponsored slim - another 3lb off, and a five year low! 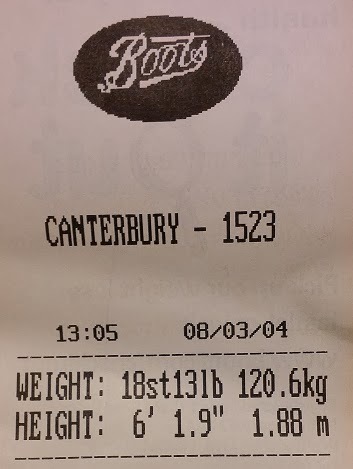 Today's weigh-in took my passed a nice psychological milestone - my weight has fallen below 18 stone for the first time in 5 years. So far I have lost 2 stone 10 pound since my diet began ten weeks ago. 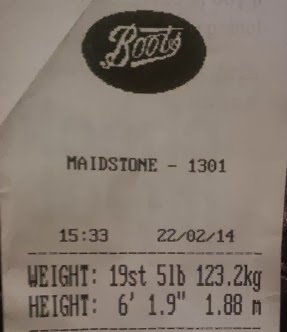 My target this week is to shed a further 3 pound - bringing me to a 3 stone total loss. I am grateful to members of Tonbridge & Malling who kindly added a further £150 to my sponsorship money at their AGM last night. Our Chairmen Exposed as never before! A share of the Goulash ! 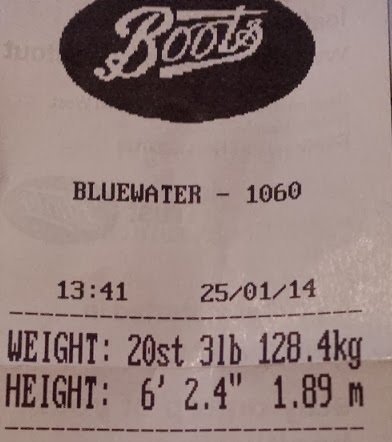 Another 3lb weight loss this week!